The Arturia KeyLab 88 is a top of the range hammer action MIDI controller designed for serious musicians who are looking for a full sized MIDI keyboard controller with the maximum control over the shape and tonality of the sound. Also includes Analog Lab containing 5000+ TAE (True Analog Emulation) presets. With the ability to filter, edit and tweak already specially selected preset sounds the KeyLab 88 Hammer Action Midi Controller sets no limits when it comes to getting your dream sounds. With a range of onboard controls, pads and parameters the KeyLab 88 strives to give the user freedom over the full size Fatar keybed. 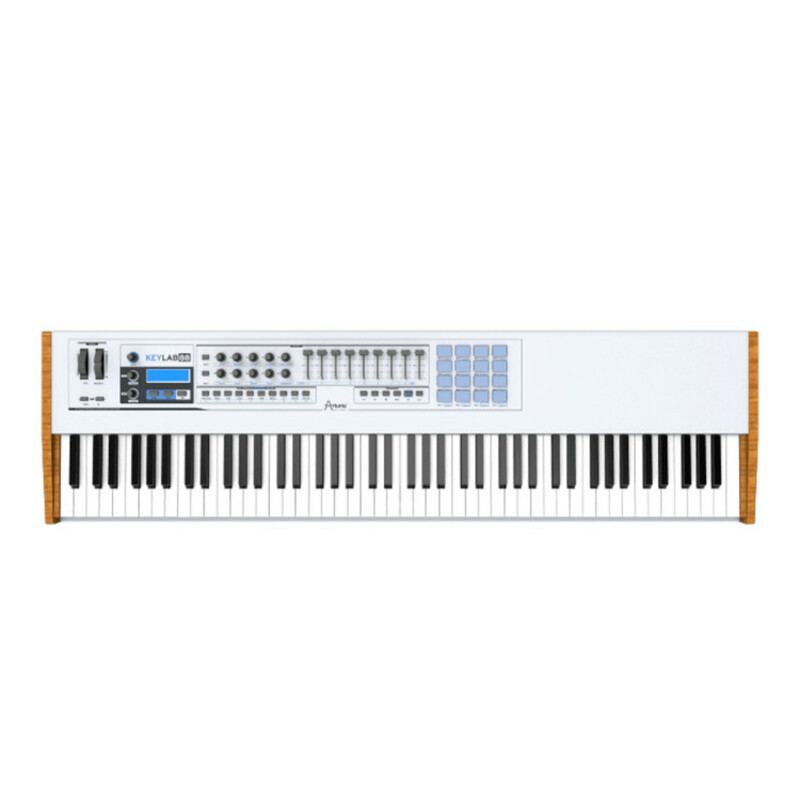 Ranging over 7 octaves the 88 key edition of the Arturia KeyLab Midi Controllers is sure to have all enthusiastic keyboard players on the edge of there seat. 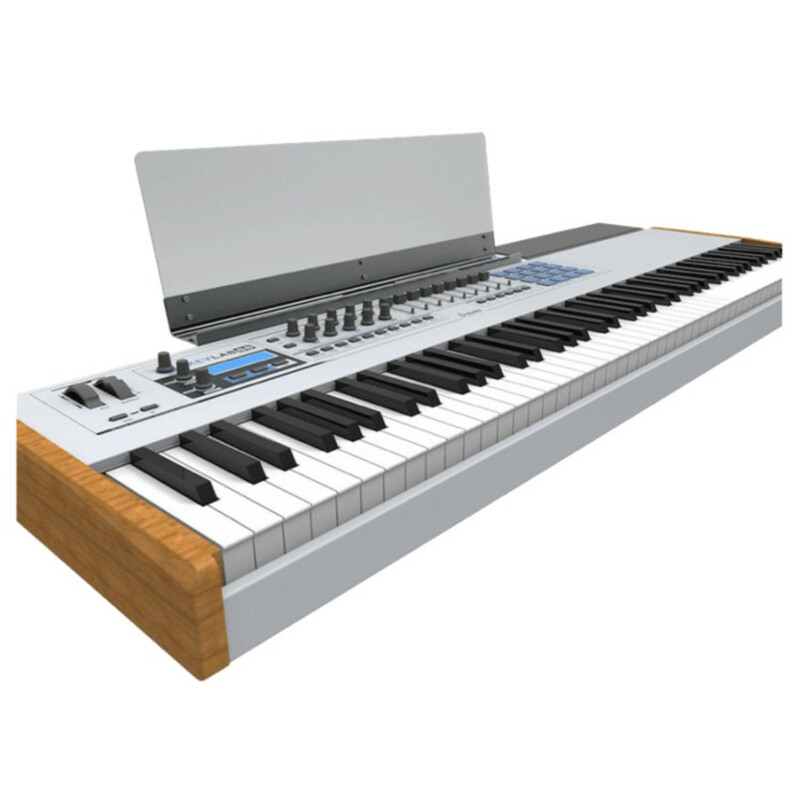 This premium MIDI controller keyboard gives full access to Arturia's Analog Lab software; its pre-assigned controls make it an ideal solution for plug and play sound creation. Once the software is connected to the keyboard, you can put your mouse away and experience and explore everything the Aturia KeyLab 88 has to offer. In-depth Preset Editing available for the owners of the Arturia Classic Synthesizers (Mini V, CS-80 V, etc.). Edit your sounds on the original instruments within Analog Lab.